CHEERFUL GIVERS: “[Blood donations] should be a normal and routine part of our lives,” says health minister Dr. Chris Tufton. He’s now past the age limit, of course, to qualify as a donor (the appropriate donor age span is 17-60 years) but Rev. Gregory still exudes the aura of a cheerful giver. “I wish I could give some more,” he admits. This is the kind of upbeat spirit of generosity that the health minister is urging more Jamaicans to adopt, as his ministry and its relevant agencies seek to increase national awareness. “I don’t think we can reiterate enough that donating blood is a way of helping the entire country. This is a critical component of our overall human experience,” Dr. Tufton emphasized during his address on Tuesday. Against the backdrop of the high volume of trauma cases, accidents and other emergencies, and blood-transfusion procedures that the island’s hospitals have to grapple with daily, the minister stressed that the need for blood is constant. “We shouldn’t have to wait until tragedies arise. “[Blood donations] should be a normal and routine part of our lives,” he said. According to the World Health Organization (WHO), of which Jamaica is an active member, by 2020 all countries should have achieved 100 percent voluntary, non-remuneratory blood donation ‘compliance’. 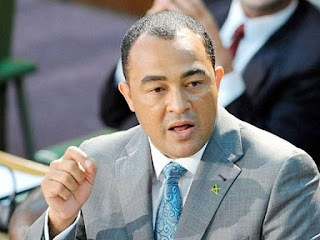 As such, the health ministry, Dr. Tufton pointed out, remains committed to reviving the blood bank advisory committee and is employing several initiatives to encourage more donors to step up, including the training of donor managers, the issuing of pledge forms and donor cards and more public education drives. 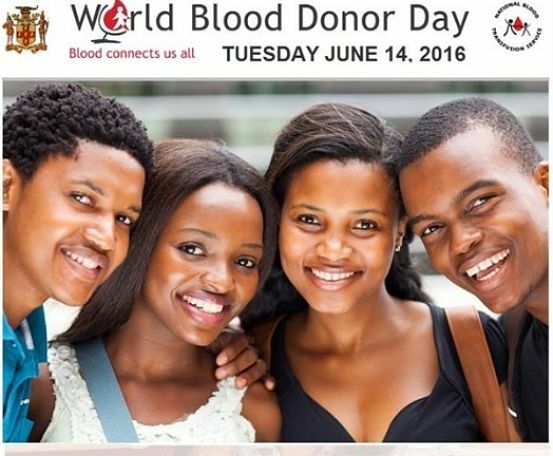 >> DID YOU KNOW: Blood donation is the ultimate life-saver in Jamaica’s hospitals? “Every two seconds someone needs blood,” reveals Dr. Angella Scott, Director of the National Laboratory Service.